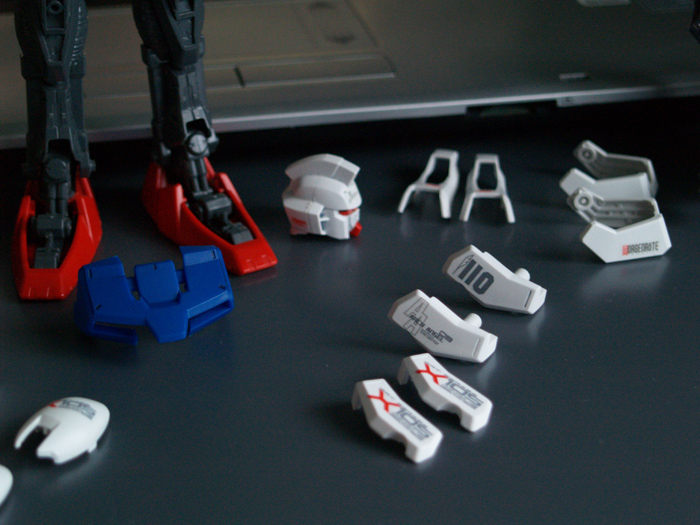 It has been a while since I worked on a Gundam kit. Instead of buying a new kit, I went to revamp a old kit I built poorly, Strike Gundam. The nobs, were cut poorly leaving a bad after taste, tried to sand it away but its still visible. The white was going off and bits were like… plain. So I went to paint it (or rather spray paint). sad thing is, the nibs are still visible. Some actaully has a hole… Paint built up due to excessive amount of paint build up. I sanded and tried again… lol. 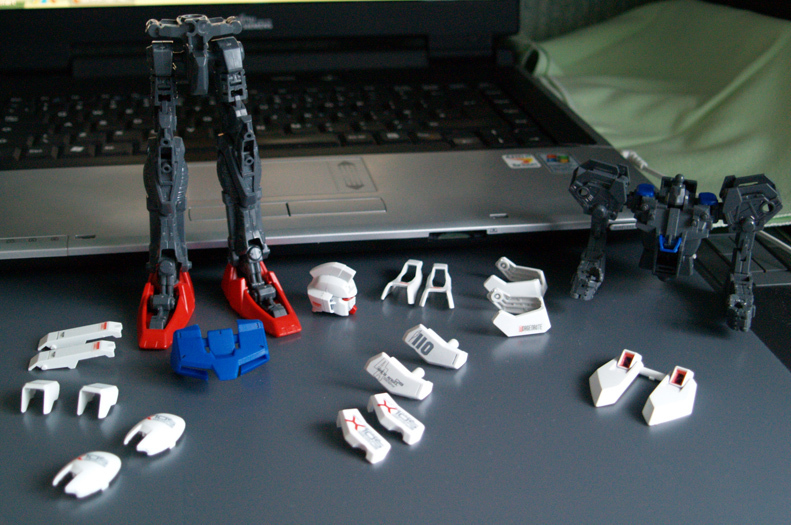 So, all the white parts are done, decaled and stickered, just need to give all the parts a Matt finish to protect the paint and decals. Done a few parts.